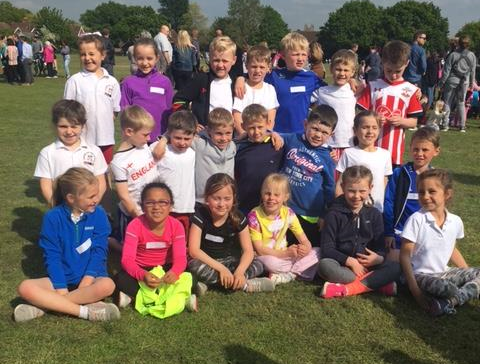 At the beginning of May, twelve Year 2 pupils took part in a Key Stage 1 Cross Country competition, competing against children in other schools in the Eastleigh and Winchester district. We were delighted and very proud that Bethan in Emerald class finished first, with Izzy B in Scarlet finishing in fourth place out of the 44 runners taking part. Overall Freegrounds Infant School was the top winning school in the District for the Year 2 girls competition. In addition Oliver in Turquoise class came third, Finley and Ethan in Emerald finished in sixth and eighth position respectively amongst a group of 44 Year 2 boys. Everyone who took part showed great determination and perseverance. All in all we are very proud of our young sports people and hope that this result is just the beginning of a future of sporting success!